Aphorism: Ossirian is not Unscarred anymore! And there it goes. 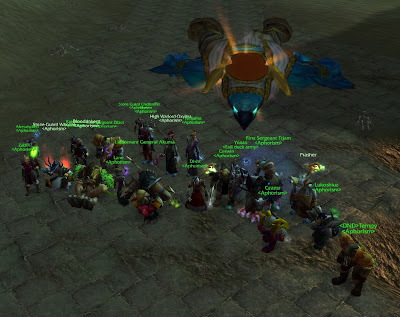 The last boss of the instances we aim for is down. Yes you are reading it right, Ossirian is not Unscarred anymore ;-). Congratulations to all that helped make this important step forward! It was one of our best tries on a boss ever! Coordination was almost perfect.